This is the oldest public building still standing in the city – it dates back to 1713. Bostonians first heard the words of the Declaration of Independence read from the balcony of the Old State House. That’s especially fitting because the Massachusetts Assembly used to meet here before the American Revolution. Just outside, you can still view the spot where the first blood in the fight for independence was shed. 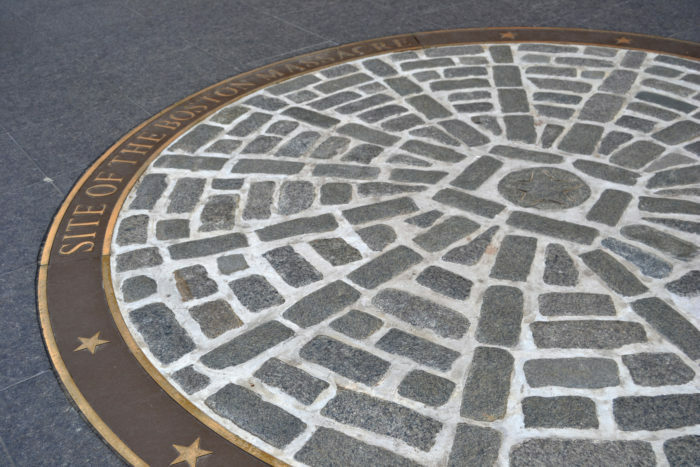 Both the Old State House and the marker for the Boston Massacre Site belong on every history buff’s bucket list. 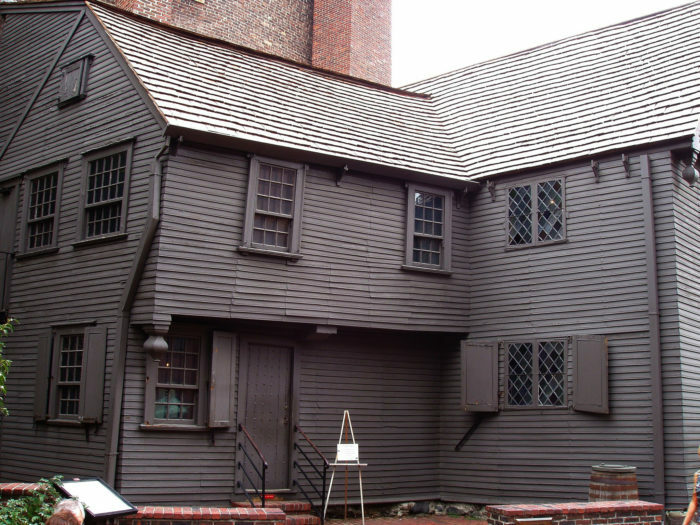 Paul Revere’s house not only preserves the personal history of one of Boston’s most famous residents, but it also provides insight into the living conditions of citizens during the 17th century. 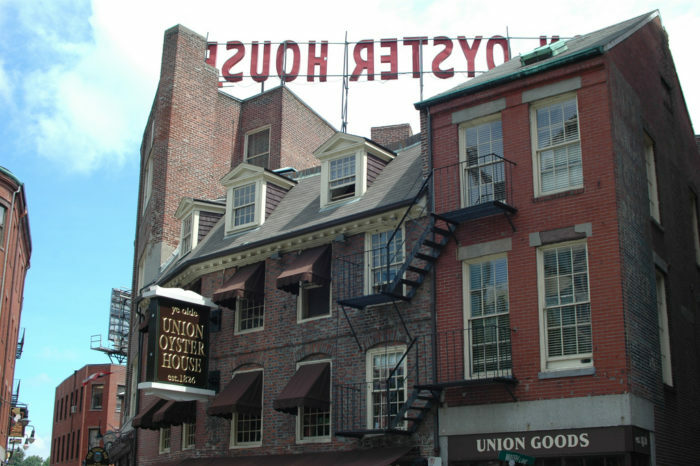 The structure dates back to 1680, making it the oldest house in Boston. Granary Burying Ground isn’t the oldest in Boston, but it is the final resting place for figures who shaped history, such as Paul Revere, John Hancock, James Otis, and Samuel Adams. 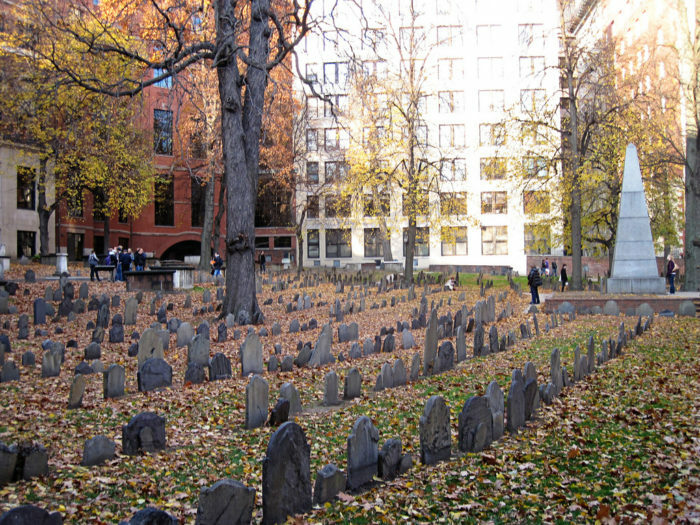 The victims of the Boston Massacre were buried in a shared grave here as well. This Puritan Meeting House is where outraged activists decided to toss tea into the harbor, an event that later became known as the Boston Tea Party. The building was constructed in 1729 and it served as a church and meeting place. 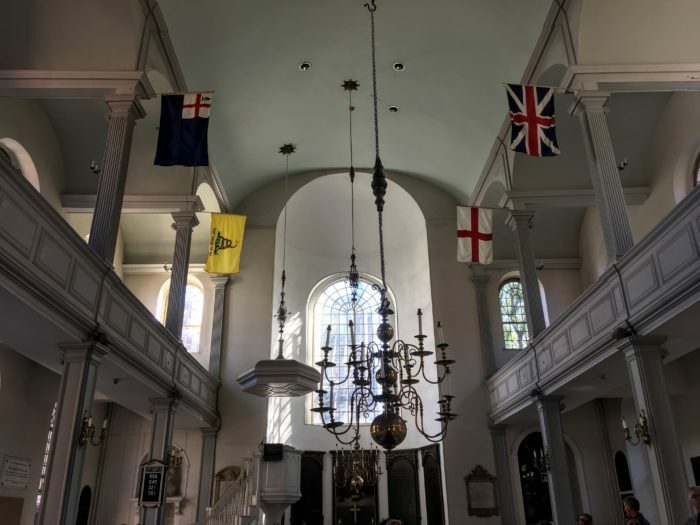 See where Paul Revere and Robert Newman hung two lanterns in 1775 as a warning that the British were coming by sea. 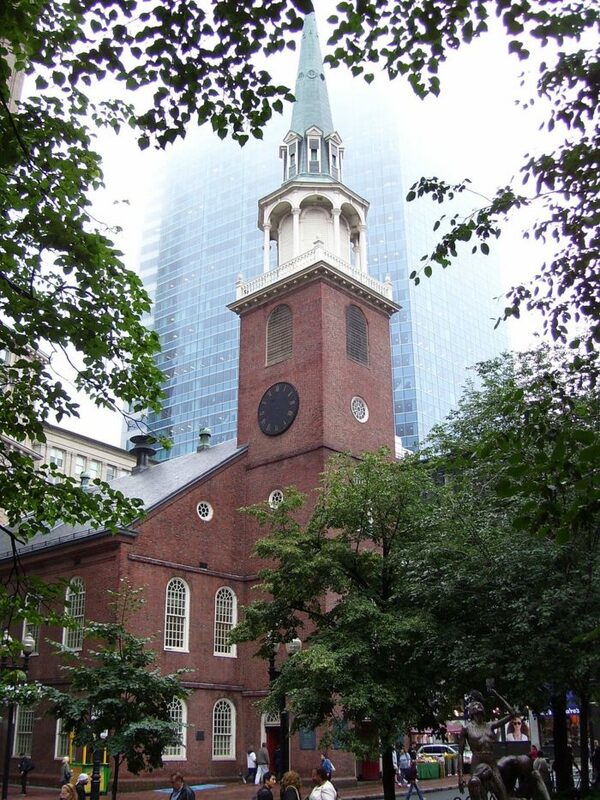 Established in 1722, the Old North Church is the oldest remaining church in the city - it was originally called Christ Church. 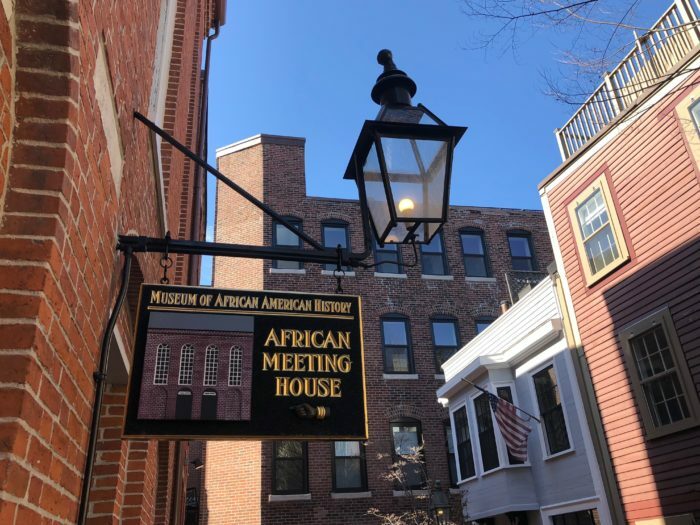 Now part of the Museum of African American History, the African Meeting House served as a church, school, and meeting space. The New England Anti-Slavery Society was established here in 1832 and Maria Stewart and Frederick Douglass both gave speeches inside the building. Constructed in 1806, this is the oldest remaining black church in the nation. This restaurant is so old that it’s a National Historic Landmark. 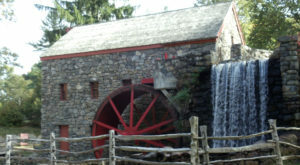 It’s been operating since 1826 inside a building that dates back to 1704. 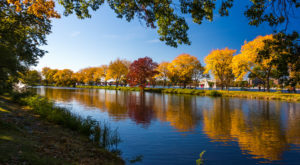 Eat oysters in the same place where Daniel Webster and JFK once dined (not together)! 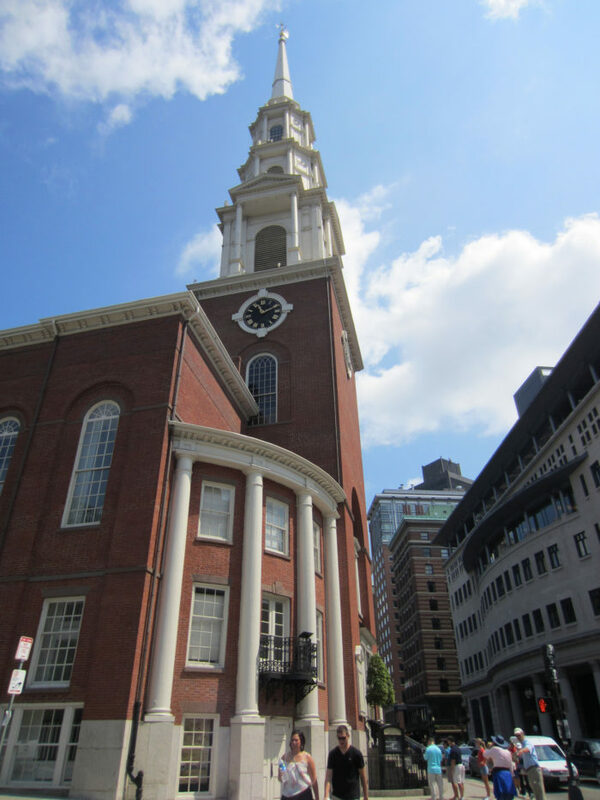 One of Boston’s most dramatic churches has to be Trinity Church, founded in 1733. This Richardsonian Romanesque building served as inspiration for other public buildings across the country and its interior is simply spectacular. This fort was used as a prison during the Civil War. It’s a fascinating (and allegedly haunted) place to explore. Located on George’s Island, the ferry trip to and from is simply beautiful. 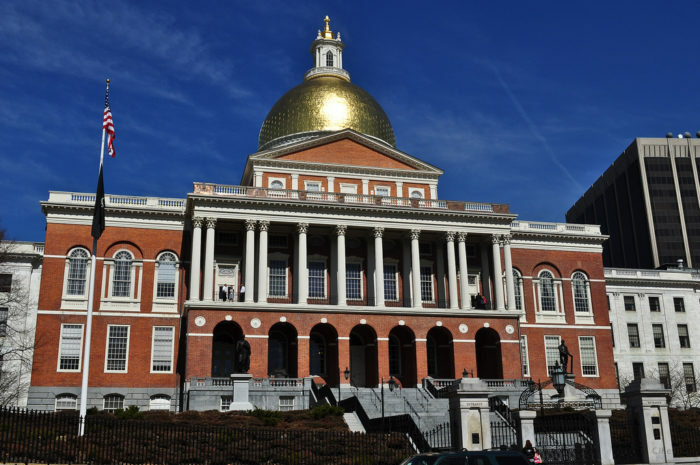 The "new" Massachusetts State House was completed in 1798, so this edifice actually has a long history. 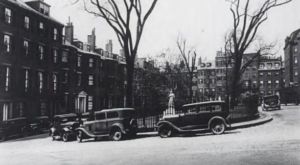 It was designed by the renowned Charles Bulfinch. Its distinctive dome features 23-karat gold. While inside, discover gorgeous stained glass, the Sacred Cod, and the Holy Mackerel! 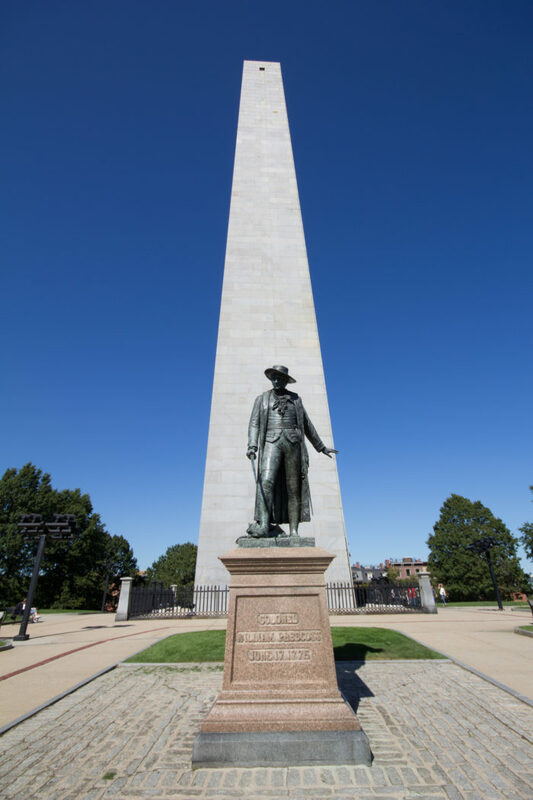 Although this is called the Bunker Hill Monument, it’s located on Breed’s Hill, where the fighting occurred. The Battle of Bunker Hill was a pivotal moment in history. Although though the British won the battle, the victory cost them more than a third of the men involved and it showed that the Revolutionary forces should not be underestimated. The monument, made of Quincy granite, was built between 1827 and 1843 – the slow pace was due to funding issues. 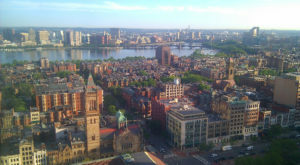 It rises 221 feet high and, prior to the Washington Monument, this was the tallest memorial in the U.S.
As the oldest ballpark in Major League Baseball, Fenway is appreciated by fans of sports and history alike. 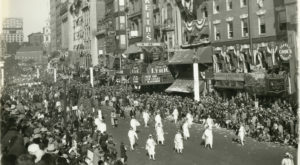 It opened in 1912 and has several unique details, the most famous of which is the Green Monster. The USS Constitution is the oldest commissioned U.S. Navy ship – it dates back to 1797. "Old Ironsides" saw action in the War of 1812 and served its final mission in 1853. 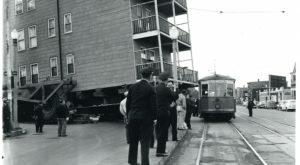 Nowadays, the ship is moored in the Charlestown Navy Yard, save for an annual July Fourth jaunt around Boston Harbor. 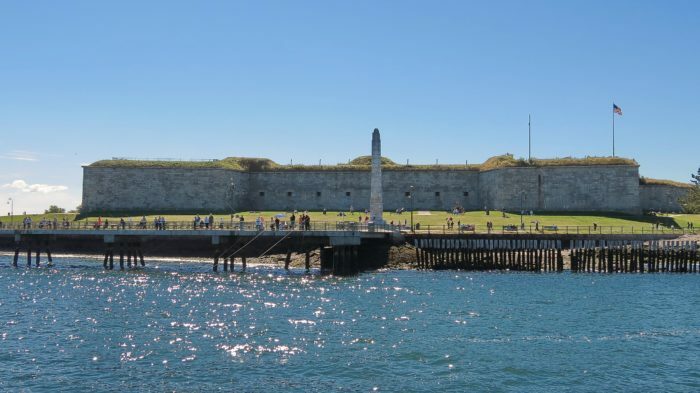 Welcome to the oldest fortified military site in British North America. The fort currently standing on this spot was constructed in the 19th century, but the first fort that stood here was built back in 1643. Although Castle Island used to be a true island, it was connected to the mainland in 1928. 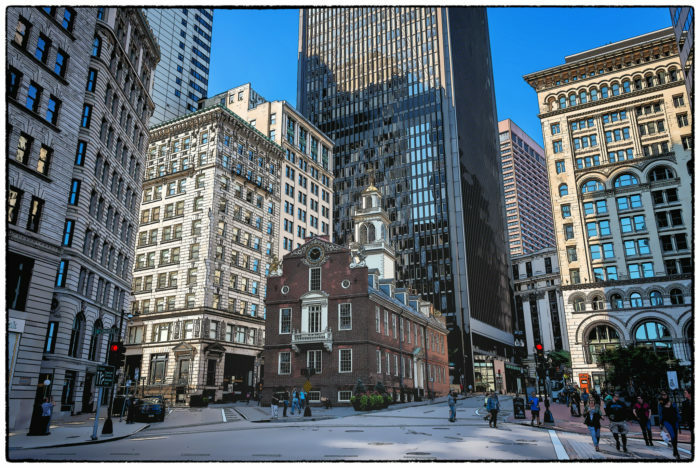 It may be hard to believe with Boston’s current skyline but, between the years 1809 and 1867, this church’s 217-foot steeple made it the tallest building in the city. 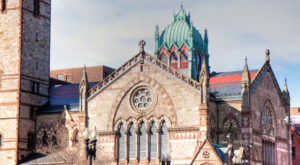 You sometimes hear the phrase "fire and brimstone" used in reference to sermons, however, in the case of Park Street Church, that description could have been literal. During the War of 1812, the building’s basement was used for storing gunpowder! This building used to serve as a meeting house where locals expressed their views on political issues, including taxation without representation. 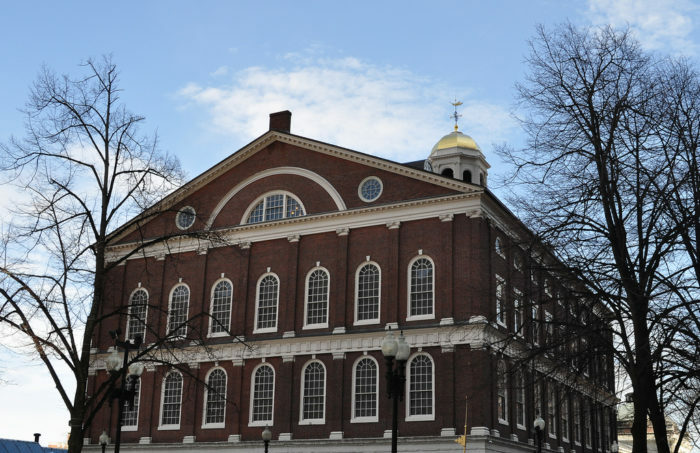 The original Faneuil Hall burned down; the structure that stands today was erected in 1762. 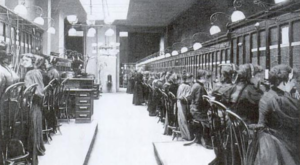 Charles Bulfinch oversaw the building’s expansion at the start of the 19th century, and in the 1970s it was turned into the marketplace you see today. This landmark is a memorial to the people murdered during the Holocaust. 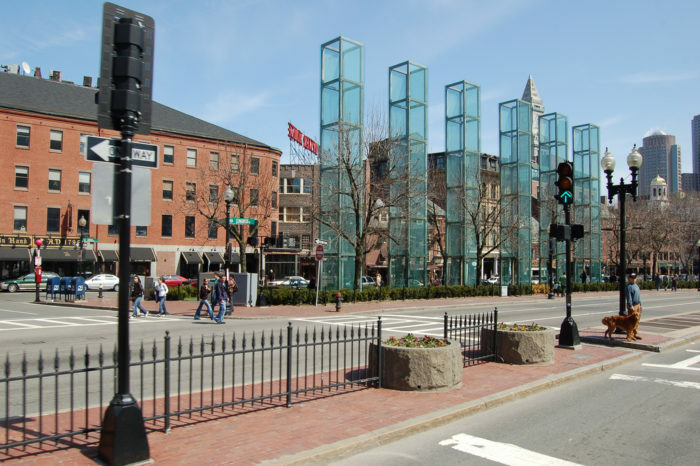 Each of the six glass columns symbolizes a million lives lost, one of the six biggest concentration camps, and the six years that the Holocaust lasted. 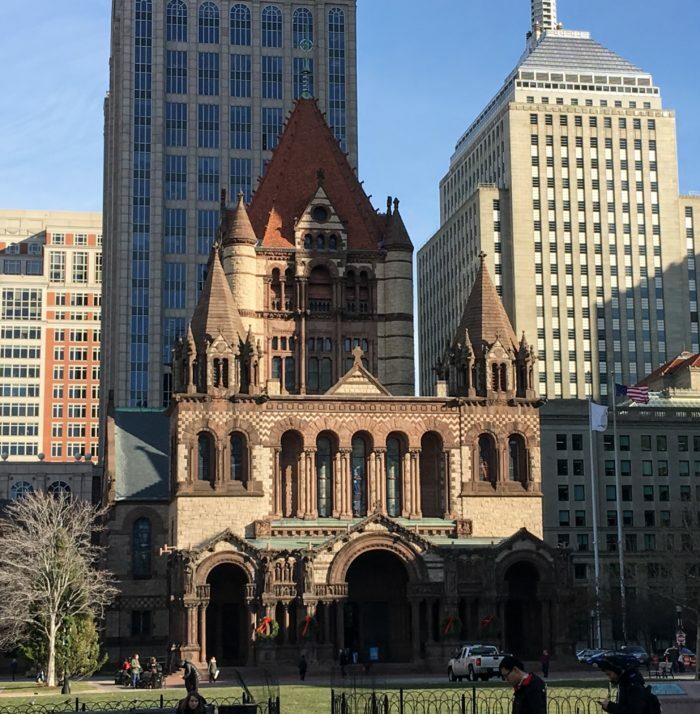 Boston has so many landmarks that it would take many articles to do them all justice. That said, which other iconic spots would you add to this list? Let us know in the comments! If you’re interested in Boston’s architecture, you should also check out these distinctive bridges.